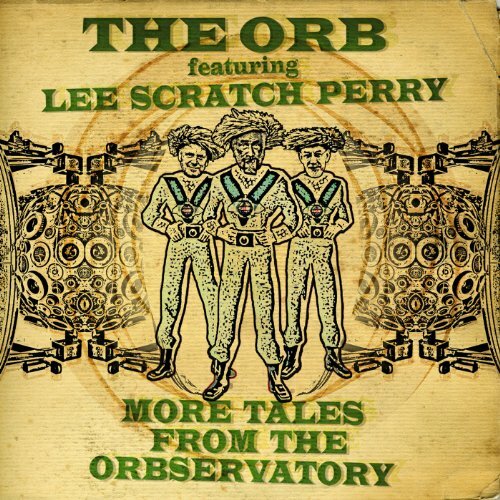 The Orb and Lee 'Scratch' Perry have both made a career out of creating a certain kind of deep, slow, relaxed music. The father of dub and one of the pioneers of ambient house music have, as expected, created an album that is so laid back it redefines horizontal. It'd be wrong to say either of these artists has ever created 'chill-out' music so to speak. Although both employ different materials and means, they both work to create a form of psychedelia which is so stoned it floats, but is still grounded enough to be absorbed and danced to. It's only when they started their collaboration last year that it became so obvious the two sounds would merge so smoothly. The tracks on this second collaborative album all follow a similar template. The smooth electronic production and warm synth-pads of The Orb are used to play dub-like rhythms, over which Perry drawls stream-of-consciousness lyrics. So the album begins with a soft drum-machine beat and stabs of reverby pads, over which Perry waxes lyrical about 'Fussball'. The track gradually settles into a bouncing groove as Perry does his best attempt to sound like a football commentator. The highlight of the album is the second track 'Africa'. Opening with ethnic percussive samples, beautiful synths from The Orb begin to float over the groove. Subtle manipulations of Perry's voice vary the soupy texture, and provide a relief from his more lunatic rambles. The piece has a strong, absorbing groove which rises and falls but stays constantly engaging. It is probably the point in this collaboration where the two acts have mixed their approaches most effectively. Both artists have defined themselves on the deeply textured music they make while maintaining a strong sense of danceable grooves. As you would expect, the production on this album is particularly lush. 'Tight Interlude' is a brief soundscape, mixing samples of TV chatter alongside unidentifiable instrumental loops, and begins to sound like a collaboration between the two that is more than just the sum of its parts. As the last few tracks float by, although the formula set out for the opening track is continued, the thick, complicated production is addictive, and the strong, deep basslines help pull one into the weird 'Orbservatory' they have created. The album is made up of 11 tracks, five of which are instrumental versions of the longer tracks on the album (ie, all apart from the interlude). It's a nice touch, reflective of dub singles and albums from the past, to provide instrumental mixes of the tracks alongside the vocal ones, and here it is particularly beneficial, as it allows the listener to fully appreciate the lush depth in the arrangements. However, it also highlights the main weakness of the album. The instrumental tracks feel lacking without Perry's vocals; pleasant, but vague and formless pieces of electronica. On the other hand, the versions with Perry are too distracting from The Orb's lush arrangements, with Perry's oddball proclamations sometimes becoming a little frustrating. This album has captured much of the vibe of the two artists. However, another component of each was refusal to repeat themselves, an ambition to always make something slightly unpredictable which separated them from the more generic examples of their respective genres. Unfortunately, as well executed as this collaboration is, it rarely sounds like anything more than just the sum of its parts. Good album but for me his best solo is "Your Arsenal"